The Re-UP: less marching; more doing! Posted by Sides 2 Truth in CHALLENGE! 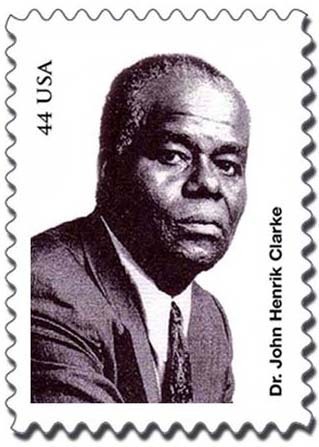 The late historian John Henrik Clarke’s documentary entitled “A Great and Mighty Walk” details and chronicles his journey to becoming a historical guru and proponent of Pan- Africanism. As Clarke assesses the Civil Rights Movement his tone and timber becomes frustrated, asserting that marches, in a word, were and are ineffective. Clarke illustrates this point by criticizing Minister Louis Farrakhan’s use of the Million Man March as a platform to convert masses of so-called Black/African American men to Islam (a spiritual belief, in addition to Christianity and Judaism Clarke believed was used to enslave versus enhance the African). In his critique, he viewed Farrakhan’s efforts as no more than grandstanding to serve his agenda, doing absolutely nothing to advance the cause of so-called Black/African American people he claims to love so much. Clarke’s emphasis of this his point continues as he focused on Japan’s rebuilding after World War II, stating that “astute planning” versus marching primed and positioned the country to become an international, economic powerhouse. Essentially, the country that devastated Japan desperately clamored be in business with them. He also mentioned the efforts of Adam Clayton Powell, Jr., the Harlem-bred United States Congressman that passed more legislation than any in the history of the country. In Clarke’s estimation, “He (Powell) got the job done!” Though demonstrations and picketing were used as a mechanism when White-owned stores in Harlem only allowed Blacks to shop, but refused to hire the next step was an economic boycott. In other words the 50th Commemoration of the March on Washington seemed passé. Speeches were speeches. Voices of justice were voices of justice. Though there was a call to action and a subsequent speech by President Obama the astute planning that Clarke speaks of unfortunately will translate into more marches. Because the last I checked a power structure that serves to dominate ONLY respects power that comes to deal; not beg. Thanks for the wisdom Dr. Clarke!